We are experienced in bringing civil claims on behalf of people who have lost a loved one or suffered serious injuries due to a negligent or intentional act. We know the law and are well versed in bringing all First and Third Party claims under Michigan’s No-Fault Act. We have decades of success fighting big corporations and insurance companies who seek to deny compensation for serious injury or the wrongful death of our clients. We will aggressively work to recover all of your out of pocket expenses, any past, present, and future lost wages, claims for attendant care, and other First Party claims. We will work closely with you, your family, your employer and medical providers to ensure you receive adequate compensation for the pain and suffering endured due to the negligence or other wrongful conduct of the aggressor. We also bring forth claims for loss of consortium on behalf of spouses and partners in wrongful death and other traumatic injury cases. In every case, we begin a thorough investigation as soon as possible to preserve all necessary evidence including medical documentation, witness statements, photographs, and expert testimony. Through our experience and sound legal judgment, we know that preparation at the front-end can mean the difference in any case. We will work to negotiate and help you with a trial or settle a claim on injuries related to faulty products. We will also work closely with you to go through a thorough pre-trial/claim examining. This will allow us to better understand the situation. However, in some cases, referred to as the res ipsa loquitur, you don’t have to prove that you had a faulty product or that the circumstance was caused by one. For cases like that, you only have to prove your injuries, because with certain cases it is obvious that a product malfunction took place. We will make sure to review your personal damages and losses and offer suggestions/ recommend different settlement options. 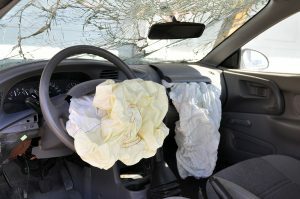 It is easier when you have a lawyer, that specializes in liability, to evaluate your claim first. Contact us today for a free case evaluation or for professional consultation with an experienced litigator.